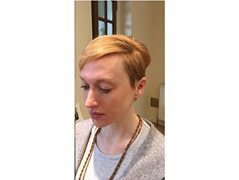 I am a part-time male hairstylist with more than 5 years experience who is looking to build my portfolio of work with some long to short haircuts as I look to re-launch my social media this Spring. I am therefore looking for female hair models who are willing to undergo a radical change in length and look with their hair in the next couple of months or in the summer. All haircuts can be agreed in advance and I am willing to pay the right model due to thelevel of change. I will be looking to produce two or three different haircuts on the way to the agreed finished look if possible with the session potentially being filmed. All media will be available to the model for their own use.